Something about the book, and Rachel in particular, reminded me of Carrie Fisher’s memoirs. There was some of the same style, and I think both women would probably describe themselves cheerfully as a little neurotic with complicated families. Which in some ways sums it all up. Meryl Streep as a reader was, of course, marvelous. Because she’s Meryl Streep. Which I suppose brings me to the movie. 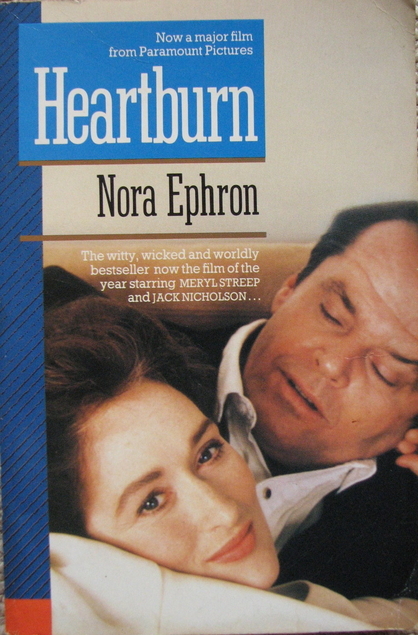 Meryl Streep played Rachel in the movie version—which explains the audiobook reading—with Jack Nicholson as her philandering husband. And the movie, I am sorry to say, was just tragic. 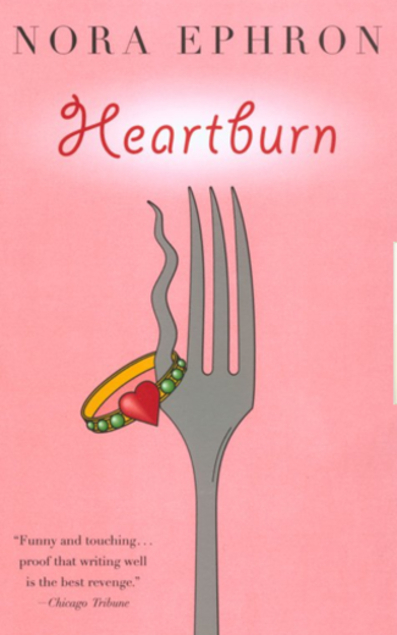 It was fascinating, actually, how a different telling of the same events (because it was pretty faithful to the book in plot) can bring it from ironically comedic to just plain depressing. The movie was not an anti-love story. It was just a very, very depressing love story. The book begins with Rachel discovering the affair, and earlier history is told in flashback through that lens. The movie takes a conventional, chronological approach, so that we watch this couple fall in love, get married, and fall apart. And even though I watched it through a personal lens of knowing how things turn out, that is still a depressing arc to watch. Meryl Streep was, of course, still Meryl Streep, a force of nature, and at the heart of what was best in the movie. I have never been a Jack Nicholson fan, though I don’t think he can really be blamed for the problems of the movie. And if, like me, you aren’t a Nicholson fan, if you stick through to the end, you get to watch Meryl Streep hit him with a pie. It probably isn’t worth it though. Go with the book instead, audiobook recommended. You still get Meryl Streep, and a much better, far less depressing story. I vaguely remember the movie and that it was pretty depressing. Never read the book. Sounds like that’s the way to get the best version of this story.